What is a vape tanks? What is a vape tanks if it can’t create a decent amount of vapor. There are many manufacturers creating different designs of vape tanks, trying to get maximum efficiency from their creation. What is a vape tanks you need to consider before buying one, you need to know if you vape direct-to-lung (DTL) style or Mouth-to-Lung(MTL) style, are you a Do It Yourself (DIY) person or not because some tanks use cartridges also called coil heads which are easy to replace, while other vape tanks have the capability to use custom coils created by the end user or sometimes readily available coils, this type of coil is called RTA (Rebuildable Tank Atomizer) or atomizer. 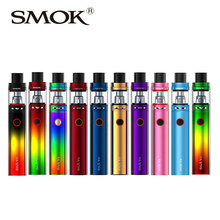 There are some tanks which can use both a cartridge or a atomizer. Now we have two major type of Vape tanks, one is for people who vape direct-to-lung (DTL) style and the other Mouth-to-Lung (MTL) style. if you were smoking tradition cigarette you would know which one to choose. Vape tanks are designed for DTL style or MTL style but there is no universal vape tank to do both styles. Direct-to-lung (DTL) vape tanks are often referred to as “Sub Ohm Tanks”. Sub Ohm refers to the resistance of the coil which is less than 1 ohm. This translates into more vapor, flavor and a warmer, denser cloud. Direct Lung vape tanks are able to handle thicker e-liquids than MTL tanks. Mouth-to-Lung (MTL) vape tanks is that they are considered for new vapers. Although suitable for beginners and transitioning smokers, MTL vaping is a preference. 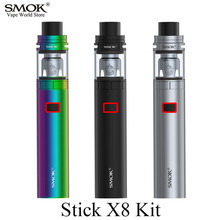 MTL tanks typically do better with e-liquids that are thinner, it is recommended that you use e-liquid that is no more than a 60/40 ratio of VG to PG. To know more on e-liquids click here. Generally, a tank consists of a area to store liquid and in the center of the tank is the atomizer or cartridge. Tanks come in different forms and sizes.The main part of the tank is the atomizer or cartridge. Cartridge type atomizer which has 1 to 6 coils in-build, there are easy to replace but expensive (min $7 onwards for 3 cartridges), the disadvantage is that there are fewer choices in the range of ohm value of the cartridge for that particular tank. Bare coils atomizer are created by end user or sometimes readily available coils, they are cheap in price (min 50 cents for 1 coil). It is highly recommended that you have knowledge on which ohm rating coil you use for your mod and if you are a DIY person then bare coil atomizers are for you. In conclusion, I would like to say that mod and tanks are made for each other, you just have to find out your best match. If you have any comments or questions please post them below. Thank you for reading my post, I hope that you understood What is a vape tanks? I hope this post will decide you to switch to a heather direction. Don’t forget to get back, to check my future posts. See you soon. Vaping bad and you feel confused? Great information here. I appreciate the way you break it all down. I don’t smoke any more but if I wanted to get off the cigarettes this would be a good starting point. Good information. The day I decide to quit smoking. I’ll certainly consider one of those. Good information. Nice post! I use the Big Beast. I go through a lot of coils and juice, but I have been able to quit smoking. This is such a great invention, I’m so glad that we have this option to help us quit smoking.